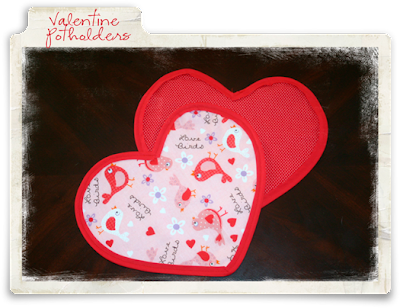 These Valentine's Day potholders were made by my daughter. Aren't they cute? I think the "love bird" fabric is so adorable! Thanks Natalie! Those are ADORABLE! your daughter did great work...and cute idea! G'day ~ How sweet of your daughter to make such darling potholders. You'll think of her every day for sure.